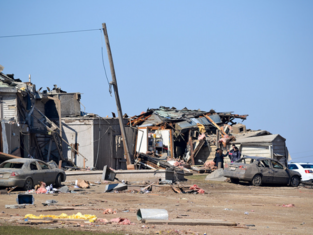 Central hub for Rochelle, IL to recover from the devastating tornadoes on 4/9/2015. Residents can donate, volunteer, and request help. Organizations can publicize their services and manage resources by clicking on "I Represent a Local Organization". The Elgin Fire Department has set up drop off sites for those wishing to contribute items of immediate need. Salvation Army located at United Methodist Church located at 709 4th Street Rochelle offering vouches for lodging, dining, and groceries for storm victims. Also available, clothing and food. Please bring identification. Saturday (4/11/15) 9a.m. -12 p.m.
Rochelle Area Community Foundation will accept donations by going online at the foundation website (www.rochellefoundation.org) or a check can be sent to the foundation at P.O. Box 74, Rochelle, IL 61068. A resident Letter of Authority from the Ogle County Sheriff’s Office will be provided to credentialed residents at the S.W. side of the High School. are being received at Rochelle Fire Department at 401 5th Avenue Rochelle, IL 61068 from 9:00 am to 6:00 pm. There will be a Tornado Relief Workday on Saturday, April 11. Volunteer registration is at 9AM in the parking lot at Jones Rd. & 8th St. in Rochelle, IL (directions). Volunteers must be 18 years or older. Please bring wheelbarrows and work gloves if you have them. This site is designed to organize community recovery in Rochelle, IL. This site was started by the Recovers Team on 4/10/2015 and is managed by local organizations in the community.